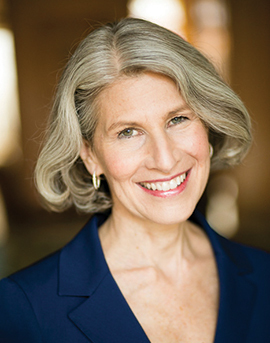 Mary Ittelson founded Ittelson Consulting in 1996 to provide strategic planning, governance and leadership counsel to arts, cultural, and business organizations. Her clients include museums, theaters, dance companies, media corporations, foundations, and government agencies. Her previous consulting experience was with McKinsey & Company, where she served a variety of Fortune 100 companies. At Stanford University Ms. Ittelson is a Lecturer in the Graduate School of Business, where she developed and co-teaches a new MBA course entitled Leadership in the Arts and Creative Industries. She was a 2017 Fellow and a 2018 Continuing Fellow in the Distinguished Career Institute. A leader and manager in the cultural sector, Ms. Ittelson served as Chair of the Board of Trustees of the Museum of Contemporary Art (MCA) from 2008–2012 and has chaired numerous MCA initiatives including the Strategic Planning Committee and the Access, Equity and Inclusion Task Force. She was the MCA Associate Director for eight years, responsible for all business aspects as well as for overseeing the new museum building and expansion project. Prior to launching her management career, Ms. Ittelson was a professional dancer and choreographer. She was Assistant Professor of Theatre at Northwestern University from 1979–1983, and was elected to the Faculty Honor Roll. Additionally, she served as Executive Director of Crossroads, Inc., a New York-based company of dancers and musicians. Her choreography garnered a Music and Dance Fellowship at the American Dance Festival, and was performed at The Juilliard School, New York University, Northwestern University and Lincoln Center Out-of-Doors. Ms. Ittelson earned an MBA from the Stanford Graduate School of Business in 1985, a BA in Choreography from New York University in 1979, and studied dance at The Juilliard School. She serves on the Stanford University Arts Advisory Council, the City of Chicago Cultural Advisory Council and the Board of Advisors of Ingenuity, Inc.